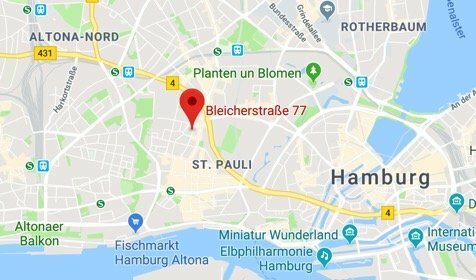 Bundesliga in 2025: Business as usual? With the World Cup underway, the domestic seasons of European football seem far away. But by August, most footballs fans will have switched back their focus on their favourite clubs and players in their home or guest country. Mostly, everything will play out like the years before. Favourites win or fall, newcomers struggle or sleeping giants emerge once again. But if we watch very closely, minor changes can already be noticed. If we put together all pieces discussed now, we might even get a deeper insight into how professional football will look like in 2025. 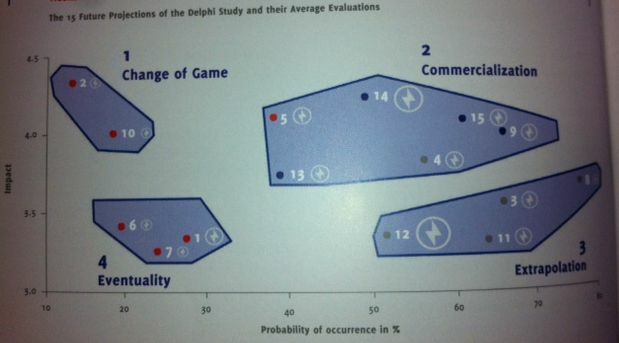 The EBS Business School and Sportfive did just that in a new study. The Medienlotse gives you deeper insights into two of the 15 original theses. Which role will digital tech play in the marketing of clubs or the stadium experience? As already mentioned here, here and here, digitalization, individualization and interactivity are becoming more important to the football businsses. Already in 2011, the UEFA had this pointed out in the “Guide to Quality Stadiums” and recommended second screens and fiberglass networks. But things happen much slower in Germany. Early in 2014, Leverkusen became the first ground to introduce an all-area mobile network for fans and visitors. Elsewhere in Europe, clubs like Liverpool and Man City have taken far less time to create new services for their fans. But the big questions for everyone around the globe is: How can all the cool digital stuff turned into money? 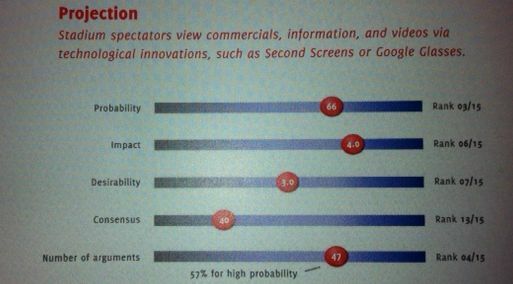 65% of the 62 experts from sports, business and society in the EBS/Sportfive study agree, that the future stadium experience will indeed be virtual or augmented and raise matchday revenues. This seems not to be far off, because fans have always used new technical devices while visiting a match. Despite the general agreement on the likeability (rank 6 of 15) of the digital scenario, the experts voiced strong mixed feelings about the desirability (only rank 13 of 15). This might be attributed to the well-known German Angst or the fact that the study was probably carried out during or shortly after the Snowden-NSA scandal of last summer. 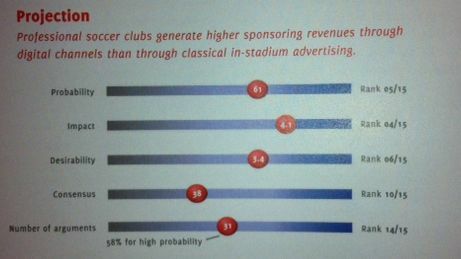 Related to a different stadium experience for fans is a shift in advertising. The study designers even claim that “digital advertising revenues will replace analog”. The experts rate the probability of this scenario with rank 5 of 15 and the impact on sports business in general with rank 4 of 15. Those in favour stressed the higher reach, measurability and customizability of digital sponsorships as the main reasons for their support. Surprisingly, future digital business models remainein even for the experts in the dark and as long as digital revenues are hard to generate and quantify, the critics can continue to see the digital trend as overrated. 2025: An even more commercialized status quo? The 62 experts expect a rather incremental than radical change of professional football in Germany until 2025. A cluster analysis of the projections led to four scenarios: Change of Game, Eventuality, Commercialization and Extrapolation, of which the last two are the most likely. But the full exploitation of all available revenues might still be limited/ or boosted by the foundation of a DFL-owned TV channel or a full takeover of clubs by investors, which is still limited by the 50+1 rule in Germany. Overview of all 15 theses. This blog post covered No1 and No2.